In light of Julie’s passing, leaving Gail with a great financial burden, combined with the tremendous support in the last months of generous, kind donors, we are increasing the goal to $50,000. We will run the Fletcher Family GoFundMe Campaign through the holidays and into the beginning of the New Year. The monies will be moved into a Trust/Foundation established in Dylan and Julie’s Memory for the ongoing educational, housing, food and medical needs of Gail and Gwen. Also at Gail and Gwen’s discretion monies will be used to support research and funding to find cures for these terrible cancers that took Dylan and Julie far, far too young. Fondly, Kathleen on behalf of Gail and Gwen. I am so saddened to report that Julie passed away this morning. Gwen has lost both her parents within two weeks and Gail her son and daughter-in-law. It is so unimaginable. Please consider supporting this campaign to get us to our goal. As of last Friday, Julie, Gwen’s Mom stopped treatments at Dana Farber. They we not being effective anymore and were too painful. She is home with Gail and Gwen with hospice. The loss of her husband and Gwen’s father Dylan to cancer this month was so overwhelming. Gwen and Gail, her grandmother need our help. This situation is so tragic. For such a young girl and her family to endure such challenges seems so unfair. They have had their lives disrupted by cancer treatments and now loss for over two years. Please do what you can to help, thank you in advance for your kindness. Dylan Fletcher - father of Gwen, husband of Julie (also battling cancer) and son of Gail lost his battle to pancreatic cancer this morning. Dylan had been in remission until a few months ago after a year plus long battle in 2016. The Fletcher family has now lost their beloved son, husband, father. He will no longer be able to provide. Julie is still fiercely fighting her own cancer. Julie, Gwen and Gail can use all the financial, moral and emotional support we can provide. Please consider donating - even small amounts can add up. Updated photo is Gwen Christmas 2016 making the most with a positive attitude spending it in the hospital. She has spent many a visit since and your support will help lighten the burden and hopefully keep both her Mother and Father at home more of the time. The earlier photo (credit to Ken Janes) of a sunset in Kennebunk, Maine and the surrounding area is emblematic of the solace and comfort the area brings to so many. Partly due to the physical beauty, but also because of the kindness and gentle nature of the locals. My family has had the priviledge of getting to know well one such family - the Fletchers. Gail Fletcher took such gentle care of my father the last few years of his life when he was suffering as she has done so with other families in the area. Gail is the “salt of the earth”. These past two years Gail’s family has experienced overwhelming challenges. Her son Dylan last year was diagnosed and treated for Pancreatic Cancer. He was in great pain, spent Christmas in the hospital, missed a good deal of work and lost wages. After finally coming through and “beating” his cancer, earlier this year his wife Julie was diagnosed and is being treated for a rare form of Thymus cancer, which has spread to her bones. As Julie has been dealing with her aggressive treatments and trying to heal from broken bones in order to be accepted to an experimental treatment program at Dana Farber, recently Dylan her husband got sick again and now needs surgery for a blockage - likely another tumor. Julie and Dylan have one daughter Gwen - a sweetheart who is having to handle both her parents within one year diagnosed, treated and suffering with cancer. Gail, Gwen’s grandmother is doing all she can trying to keep everyone’s spirits positive. Beyond their health challenges, between medical bills and lost wages, they are suffering financially. We have supported as best we can. I have used FB to raise money for charities via running marathons, birthday campaigns, and have personally donated to GoFundME campaigns, I have never started one myself. It struck me that Gail and her family’s circumstance certainly warrant my attempt at a campaign to help them. 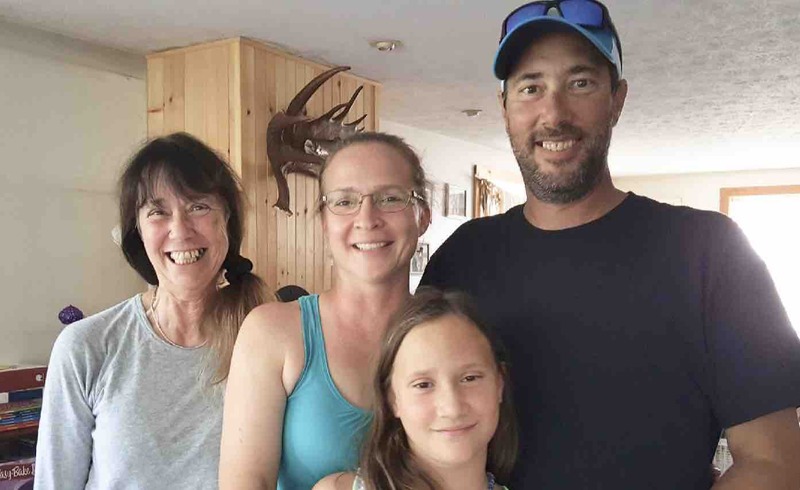 Anything you can give to help this sweet family who are quiet, live humbly and simply and have recently faced overwhelming circumstances would be greatly appreciated. Anything you donate will go toward medical bills and basic necessities. Thank you in advance so much for your kindness and support. We will be closing down the GoFund me campaign soon and are so close to our goal of $50,000 (at just over $40,000). Gail and Gwen are managing best they can, but can use help and support. So many people from all over the world (as the Portland Press Herald article was picked up by other papers) have been generous with their money, time and other resources. We are so grateful. For anyone who has not had a chance to give, please do so soon. God bless and thank you, Kathleen on behalf of Gail and Gwen. 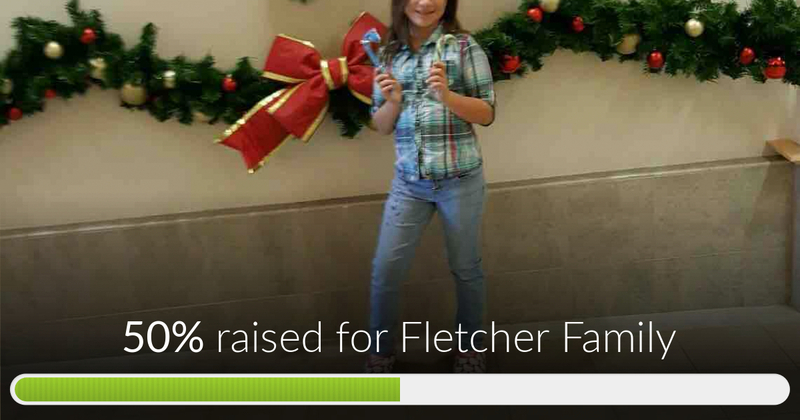 Fletcher Family has reached 50% of its goal. Thanks to all who have generously donated. If you could like and share this posting, we would be so grateful. Bless all who have supported the Fletchers whether financially, kinds words, prayers or in other ways.